A head-end ride on Amtrak's Southwest Chief train between Needles and Los Angeles during daylight hours, most of this trip usually being at night. The view is mostly straight ahead, but there are some shots of the crew and of the engineer at the controls. 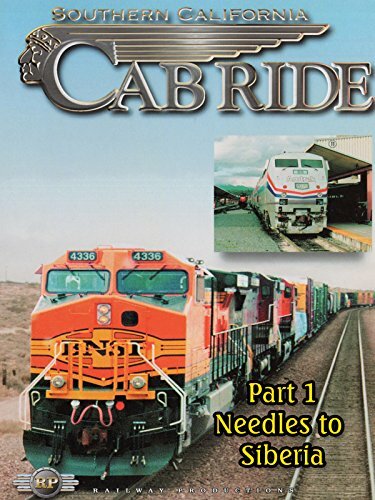 This program, the first in the series, covers BNSF's former Santa Fe Railway (AT&SF) mainline through the Mojave Desert. See the whole railroad.